Our products allow you to attract, engage, and connect with more qualified design candidates, faster than ever. 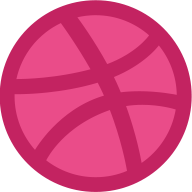 Dribbble is the one of the largest global design and product communities and a destination for millions of designers and design enthusiasts every month. Our invite-only portfolio profile is an industry standard and a must-have for professional working designers. Dribbble’s hiring solutions make it easy for you to find and hire amazing design talent. With plans for every size team, Dribbble gives you the tools, knowledge, and support you need to find the perfect candidate, every time. Find out more about Dribbble Talent.